Resin 'What A Donkey!' Football Award. 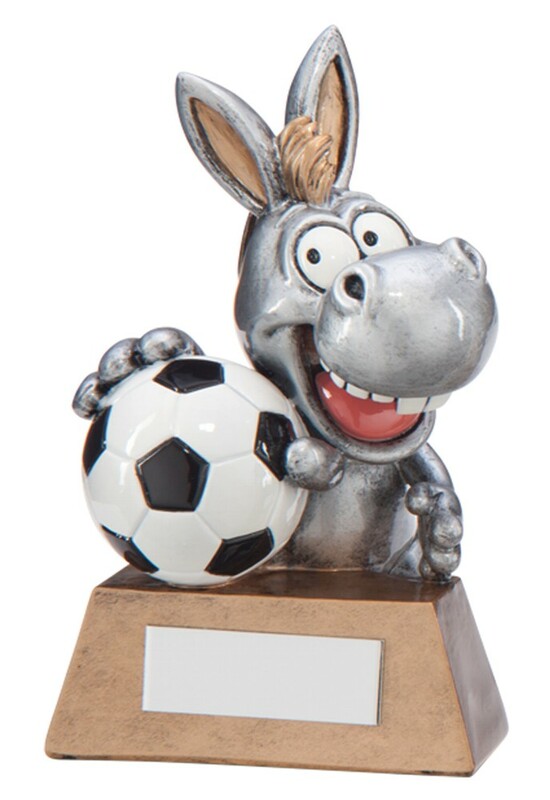 An amazing 3D donkey holding a football. Antique gold with silver detail trophy with a black & white football. A great fun award.